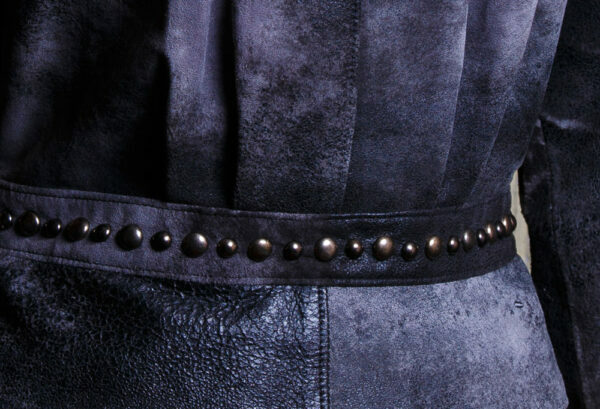 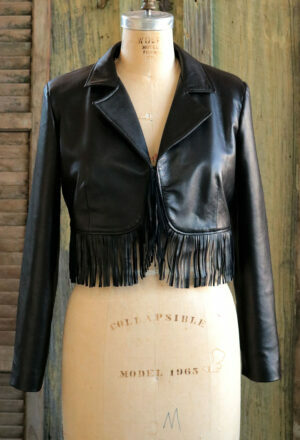 Biker jacket made in lambskin with an abstract black color and texture. 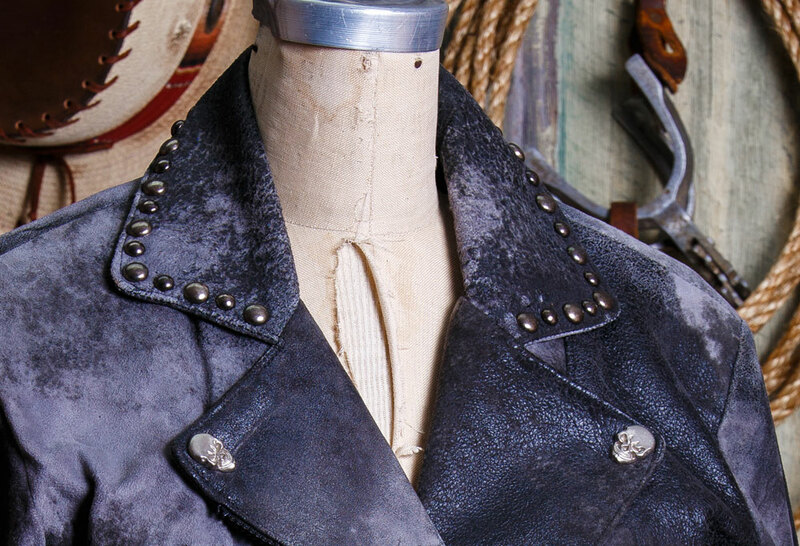 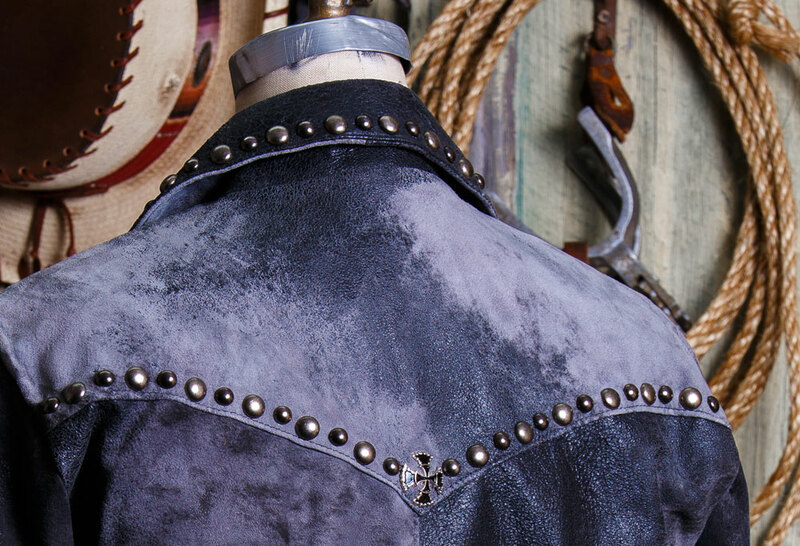 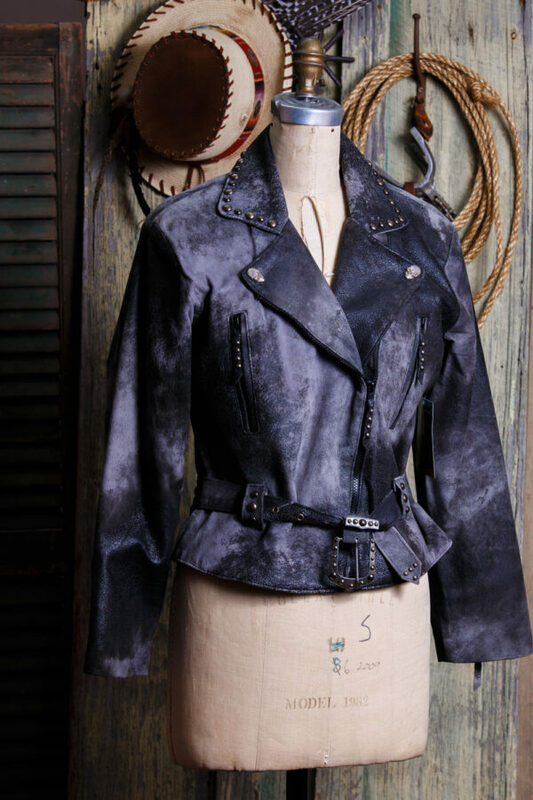 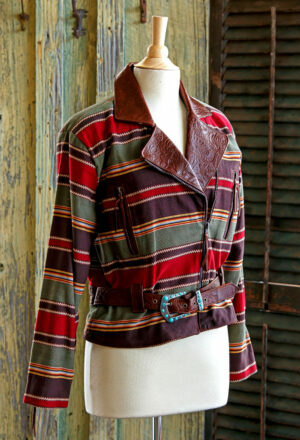 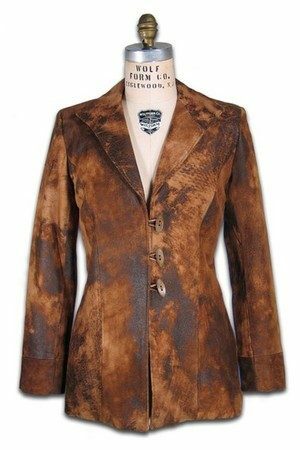 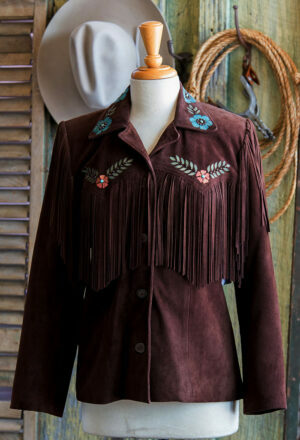 Trimmed with antiqued metal studs, skulls on front lapels and maltese cross on the back yoke. 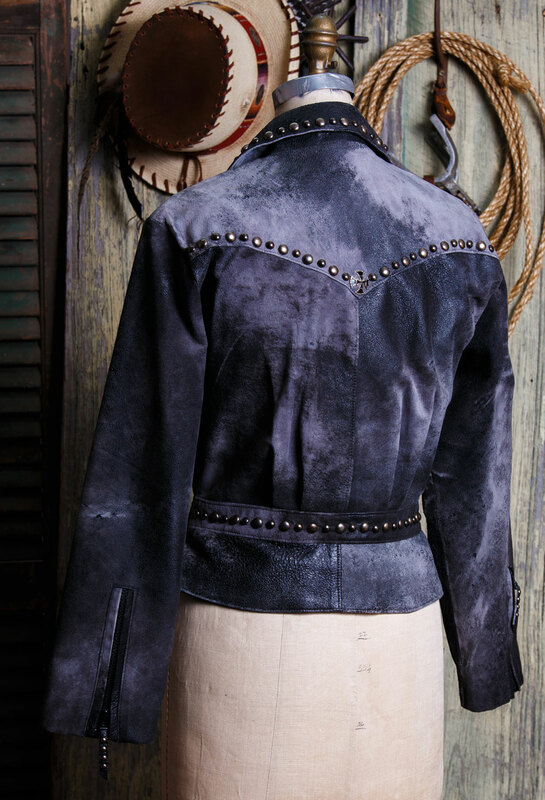 The pewter buckle set is custom made for Patricia Wolf with faux turquoise stones. 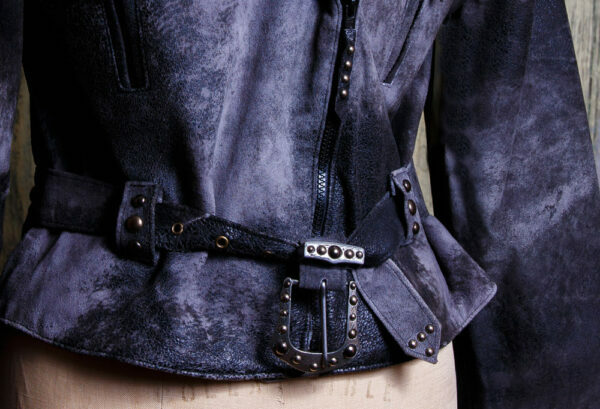 Plastic zippers slide smoothly on the front, pockets and sleeves.